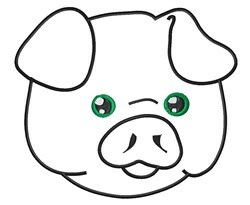 This is a very cute piggy face! Add this design to a kitchen towel or apron for a light hearted touch! 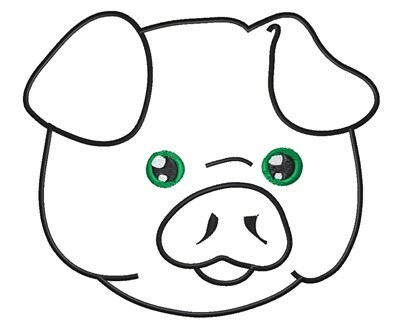 King Graphics is happy to present Cute Piggy Face Outline machine embroidery design which has 4965 stitches and is [132.08 mm x 113.03 mm] large. If you would like to view more embroidery patterns please search on our embroidery designs page.